Each day we are presented with a number of decisions that have an impact on the environment. You may not think any one of the decisions are particularly damaging, but when combined together they can have a huge impact. Let's take a look at how this might play out during an average day. A. Take a 20 minute shower. Wash your hair with the latest shampoo and conditioner. Use body wash and a plastic puff loofah for your body. B. Take a 15 minute shower. Skip washing your hair because you washed it yesterday or wash using a shampoo bar*. Use bar soap with a washcloth to wash your body. You get to work and it is time for lunch. What do you have? A. Take out from a nearby restaurant. It is packaged in Styrofoam and a plastic bag. You eat it with plastic silverware and drink from a plastic straw. B. Last night's leftover dinner. You carried your reusable lunch bag filled with glass* or metal* storage containers and metal utensils to work this morning. It's quitting time! As you are leaving work you realize you need to pick up some food for dinner. What do you do? A. Go to the grocery store. Buy a bunch of packaged food and get 5 plastic bags to carry it home in and then throw the bags away. B. Go to the grocery store with a bulk section. Purposely select items that have recyclable packaging (glass, or cardboard) or no packaging at all. Use your own resusable produce bags*, bulk containers*, and reusable grocery bags* to carry it home. Mostly A: You have some work to do. There are simple swaps you can make during the day to help minimize waste and plastic consumption. Mostly B: Congratulations! 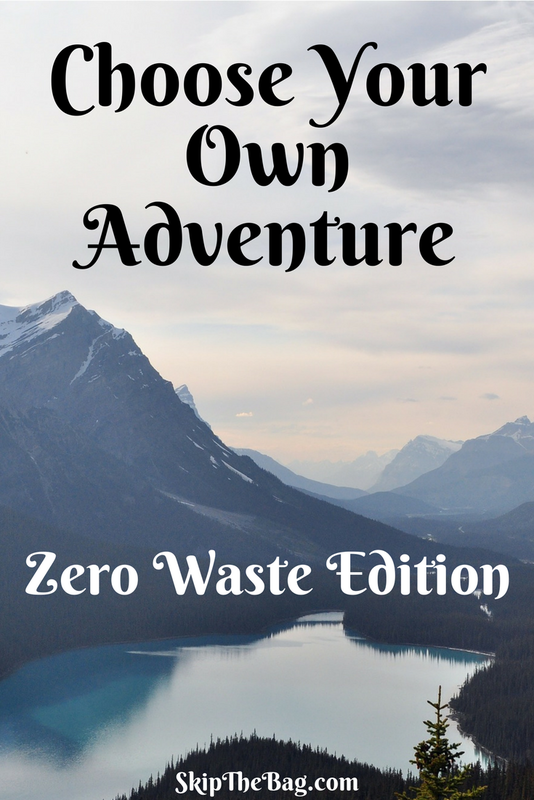 You had a zero waste day and made a huge impact in helping the environment. 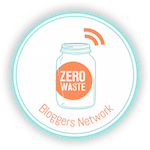 What are some zero waste habits you have adopted recently? *This is an affiliate link, see disclosures here. So true. I have been getting quite some attention lately by buying in bulk and bringing my own bags to shops, markets and bakeries. I started realising that the impact of sharing the idea might be bigger than the impact of reducing your personal amount of trash. Apart from that, I think menstrual cup and all the tampons I will avoid for decades to come! Yep, unfortunately the 'zero waste' culture is still unknown to many, but everytime you participate or introduce it to someone else you are making it that much easier for everyone else! Willkommen!